Cruise-Wilkins has spent much of his life, as did his father before him, dynamiting granite boulders, exploring caves and pumping water to find the treasure that Olivier Levasseur is thought to have buried somewhere near his house in Bel Ombre, in the north of the Seychelles' main island of Mahe. Standing near a rock just yards from his beach-front home where the ebbing turquoise sea laps at a keyhole-shaped marking his father found, the 51-year-old ponders his strategy. "We've used all kinds of machines and expensive equipment, ground-penetrating radars, but I think we need to go back to the old method. We need to get into this guy's mind," he says with a haunted gaze. Levasseur was known as La Buse, which is French for buzzard, although whether the moniker was for the speed at which he flung himself on his prey or for his aquiline nose is unknown. 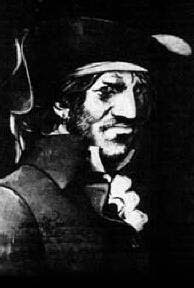 He was driven from the Caribbean with scores of other buccaneers and corsairs in the early 18th century.